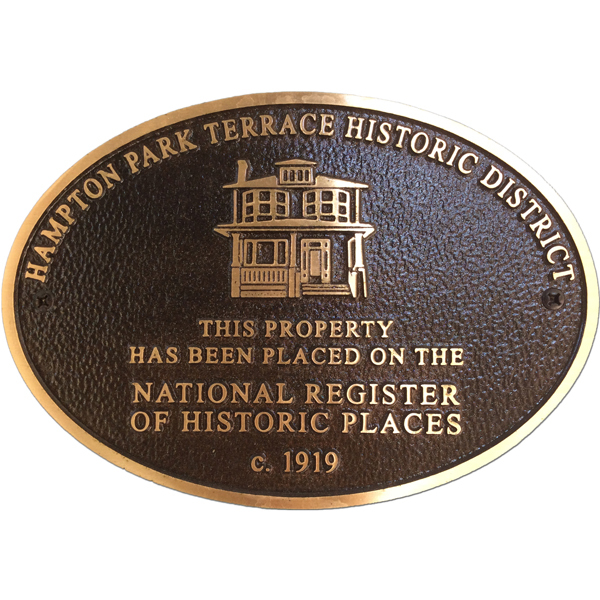 Hampton Park Terrace Historic District was listed on 29 August 1997 with the National Register of Historic Places. This Historic District includes many but not all homes in the area we call Hampton Park Terrace. For a home to be listed as contributing, it had to carry out the unifying theme of this area. If you own a contributing home you can purchase a Commemorative Plaque to display on your house. 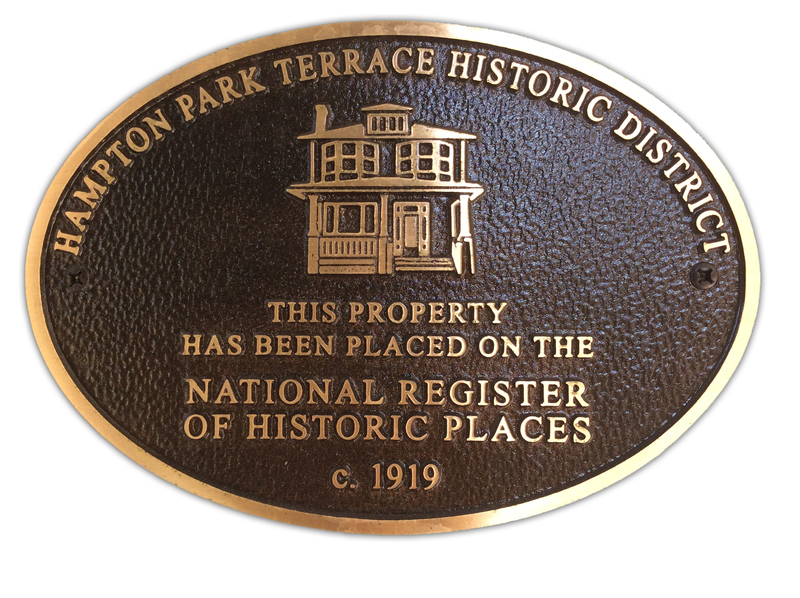 This stunning bronze plaque confirms our neighborhood's listing with the National Register of Historic Places and includes the year your home was built as it was listed in the application filed in 1997. The cost including shipping for the Commemorative Plaque is $170. Turn around time is 8 weeks. Listed in the drop down box below are all Neighborhood homes listed as contributing homes on the National Register. Please choose your home and complete the form to make your purchase.